Foster has retired from Duke, a spokesperson for the university confirmed. Another author on the corrections has submitted a letter to the American Journal of Respiratory and Critical Care Medicine to defend a paper that has been flagged with an expression of concern. The authors of an article published in 2009 (1) have informed the Journal that, as a result of an institutional inquiry, they had reexamined the raw data used in their article and determined that the results reported in Figures 2, 4, and 5 were unreliable. They were unable to repeat the studies reported in Figures 2 and 4 due to lack of materials. Therefore, the authors have requested that the paper be retracted. The authors apologize to the Journal and to its readers. The paper has been cited 28 times, according to Thomson Reuters Web of Science. This article is being retracted at the request of the authors because of concerns about the accuracy of the initial data from the animal physiology laboratory at Duke University. The authors re-exported source data from the animal ventilator (FlexiVent) and compared the output with the raw data originally received from the animal pulmonary physiology laboratory. The results from these initial comparisons suggested potential inconsistencies in the data, so the authors requested that an independent laboratory replicate the experiments of animal airway physiology presented in Figure 1 and Figure 4. The results of the replicated experiments validated the originally reported central role of mindin in airway hyper-responsiveness after exposure to either lipopolysaccharide (LPS) or ozone. Because the animal physiology laboratory at Duke University also analyzed cytokines, the authors had an independent laboratory replicate experiments to analyze the original role of cytokines reported in Figure 3 and Figure 6. In these replicate studies, which were limited in the number of animals and samples tested, the authors did not observe the same results and could not definitively determine whether or not the findings were valid. The inconsistent results led the authors to take a conservative approach, and they agreed to retract this paper. They regret any inconvenience to the scientific community. The paper has been cited five times, according to Thomson Reuters Web of Science. The next three notices are corrections from the Journal of Immunology. Following an inquiry at Duke University, we were informed that FlexiVent data provided to us by the animal pulmonary physiology laboratory at Duke University may have been unreliable. We therefore repeated the experiments described in Fig. 1 of the published article and were unable to replicate the airway hyperresponsiveness findings. Therefore, we have concerns about the integrity of the data published in Fig. 1. We hereby retract Fig. 1 and its legend from the published article. The other data presented in the article are not affected by the unreliable FlexiVent data, and retraction of the FlexiVent data described in Fig. 1 does not impact the overall conclusions of the published article. In the fourth sentence of the Abstract, the words “enhanced airway hyperreactivity” need to be omitted. The first section of the Results, entitled Ozone enhances airway hyperresponsiveness in response to inhaled LPS, should be removed. In the Discussion section, the following text should be removed: “airway hyperreactivity” in the second sentence; “in TLR4-dependent AHR, this study further supports the dichotomy between cellular inflammation and AHR” in the second to last sentence of the fifth paragraph; and “of airway hyperresponsiveness” in the last sentence of the fifth paragraph. The paper has been cited 40 times, according to Thomson Reuters Web of Science. Following an inquiry at Duke University, we were informed that FlexiVent data provided to us by the animal pulmonary physiology laboratory at Duke may have been unreliable. We therefore repeated the experiments described in Fig. 5C of the published article and were unable to replicate the airway hyperresponsiveness findings. Therefore, we also have concerns about the integrity of the data published in Figs. 1C, 2C, and 4C. We hereby retract Figs. 1C, 2C, 4C, and 5C from the published article. The other data presented in the article are not affected by the unreliable FlexiVent data and retraction of the FlexiVent data described in Figs. 1C, 2C, 4C, and 5C does not impact the overall conclusions of the published article. The paper has been cited 21 times. Following an inquiry at Duke University, we have been informed that FlexiVent data provided to us by the animal pulmonary physiology laboratory may have been unreliable. The data in Figs. 1–4 are not affected. We have replicated the studies in Fig. 5A–F, and the new data support the originally published findings. We were unable to repeat the experiments in Fig. 5G; therefore, to maintain the accuracy of the scientific record, a corrected Fig. 5 and figure legend, representing the new data, are shown below. FIGURE 5. Ozone exposure in CX3CR1-null mice. C57BL/6 (WT) and CX3CR1GFP/GFP (CX3CR1-null) mice were exposed to filtered air or 2 ppm of ozone for 3 h and then underwent analysis 12–24 h after exposure. A, Flow cytometric analysis of Gr-1 Macs in WT (open box) and CX3CR1-null mice (closed box) as a percentage of total cells at 24 h after exposure to filtered air (FA) or ozone. B, CX3CL1 protein expression was analyzed by ELISA in BAL from WT and CX3CR1-null mice 24 h after filtered air (open box) or ozone (closed box) exposure. C, AHR after increasing doses of methacholine in WT and CX3CR1-null mice 24 h after filtered air or ozone exposure. D, Total cells and neutrophils (PMNs) from BAL cell count differentials in WT (open box) and CX3CR1-null mice (closed box) 24 h after filtered air or ozone exposure. E, Analysis of total protein in BAL from WT (open box) and CX3CR1-null mice (closed box) 24 h after filtered air or ozone exposure. F, Analysis of cytokines by multiplex from concentrated BAL fluid in WT (open box) and CX3CR1-null mice (closed box) 12 h after filtered air or ozone exposure. Data for AHR are from n 5 7 WT FA, n 5 7 CX3CR1-null FA, n 5 12 WT O3, and n 5 14 CX3CR1-null O3 (# p , 0.05 for WT or CX3CR1-null O3 versus FA control, *p , 0.05 for WT versus CX3CR1-null O3 exposed, &p , 0.05 for WT versus CX3CR1-null FA exposed). Data for other experiments are from three to eight mice per group (WT-FA, WT-ozone, CX3CR1-null–FA, and CX3CR1-null–ozone). The paper has been cited 11 times. John Hollingsworth, also affiliated with Duke, is first or last author on the new corrections. He also shares two retractions and an EOC on two papers with Potts-Kant and Foster. Hollingsworth is working to clear one of the papers on that EOC. In a letter to the editor of American Journal of Respiratory and Critical Care Medicine, Hollingsworth and three other co-authors (not including Potts-Kant or Foster) answers concerns that earned “c-Kit Is Essential for Alveolar Maintenance and Protection from Emphysema-like Disease in Mice” an expression of concern. In that article, we provided genetic, morphologic, histologic, and physiological evidence that c-Kit is critical for alveolar maintenance. After the publication of the article, we became aware that there may have been technical problems with the physiological assessment. The main concern was with our reported finding that pulmonary compliance increased in c-Kit mutant mice at 14 weeks. This led to the publication of an Expression of Concern in the Journal. We, therefore, had an independent laboratory at Duke University, under the supervision of Herman Staats, Ph.D., repeat the experiment in question. 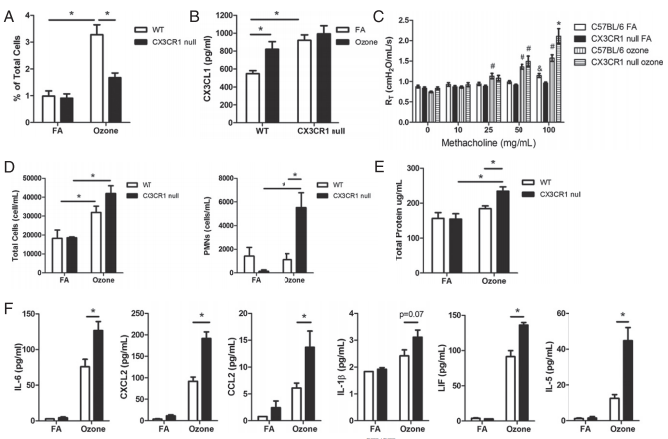 The independent laboratory has replicated the key observation that c-Kit–deficient mice have increased lung compliance at 14 weeks of age (C57BL/6J control mice = 0.091 6 0.001 ml/cm H2O and c-Kit mutant mice = 0.122 6 0.002 ml/cm H2O, values are mean 1 SEM, n = 4/group). This difference is statistically significant (P ,0.001) as determined by analysis of variance followed by all pairwise multiple comparison procedures (Holm-Sidak method). These values are similar to those reported in the original article for 14-week-old mice (C57BL/6J control mice = 0.095 6 0.003 ml/cm H2O and c-Kit mutant mice = 0.132 6 0.005 ml/cm H2O, values are mean 1 SEM, n = 5/group). Thus, these findings validate the originally reported findings in the article. The paper the letter refers to has been cited 15 times. Per our records, Potts-Kant has 12 retractions, three corrections, four partial retractions, and three expressions of concern. She had one other expression of concern, which turned into a retraction (included in the total above). Foster’s total is 11 retractions, five corrections, four partial retractions, and three expressions of concern. Previous Previous post: Poll: Should retracted papers be made available for free?